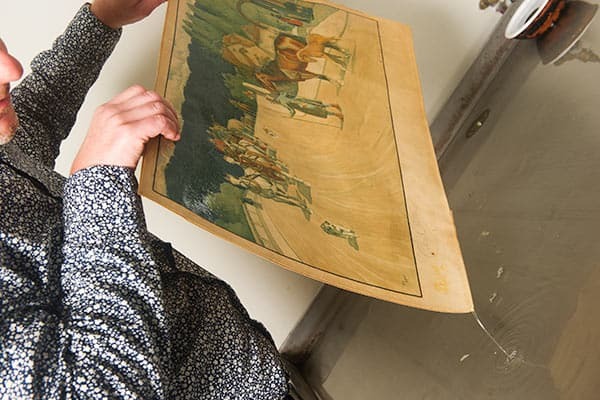 Despite extensive damages, art on paper restoration and conservation can significantly improve the aesthetic and structural integrity of your watercolour and treatment can be carried out by trained professionals. Accidents do happen and may result in stains on your watercolour. Maintaining a clean environment and reducing risks of spillage is a good start, however, if a spill does occur, a cotton swab or paper towel moistened with water can be applied to the stain before the application of a dry paper towel. However, with regards to stains ingrained in your watercolour, whether caused by foxing, acidification, mould or other factors, treatment can be conducted to remove the stains and accretions from your piece. Crucially, treatment depends on the individual watercolour and extensive testing is required to ensure the stability of the pigments and safety of your piece. When assessed safe to do so, your watercolour may be float washed to release discolouration from the paper. Alternatively and more invasively, bleaching may be conducted which can remove both localised and wider staining of the piece. Careful controls are required to ensure the watercolour is not over-cleaned which risks both the aesthetic integrity and stability of the paper support. Bleaching can include oxidising and reducing bleaches and can be an effective measure to reduce staining in the watercolour. However, risks of over-bleaching can be extremely detrimental to the watercolour, threatening the stability of the paper support in addition to the brilliancy of the painting and it is therefore advised that treatment is only carried out by experienced professionals and fully neutralised following treatment. Can a torn watercolour be repaired? Tears can be repaired in your watercolour and can take the form of a series of different treatments. Paper fibres, although fine, can be rewoven to integrate losses. Alternatively, infills or patches can be applied to the piece following careful examination and sizing to fit the exact loss. 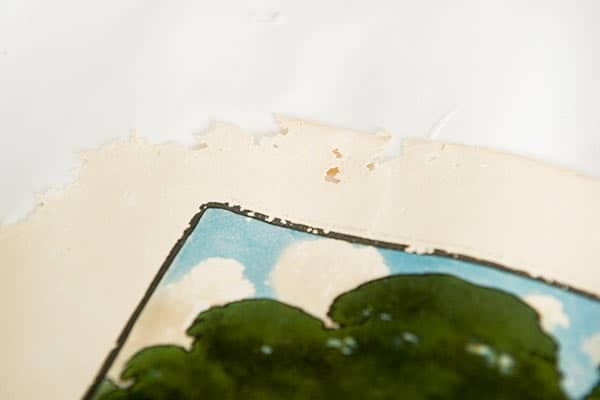 In addition a conservation standard, stable, inert adhesive/paste may be applied, for example a common treatment would be to conduct a tear repair with Japanese Paper and methyl cellulose paste. Crucially, the stability of any material applied to your original watercolour must be ensured in order to avoid risks to the safety of the original. Furthermore, any material added to your watercolour should be of similar weight and aesthetic to integrate with your piece. Can Sellotape be used to fix tears in my watercolour? 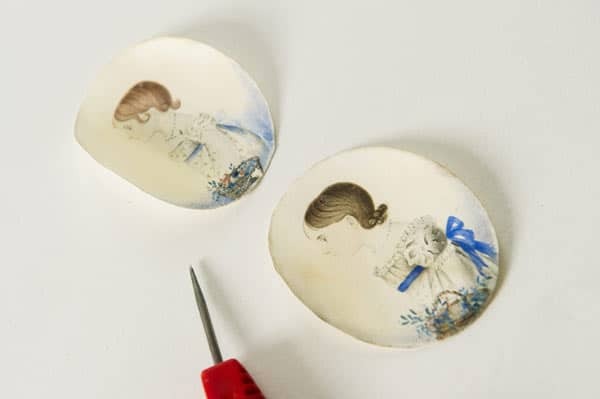 Self adhesive tape (sellotape) is not recommended to repair tears as tape has poor ageing properties and becomes difficult to remove, therefore threatening the long term stability of your watercolour. In addition, this method is unsympathetic to your watercolour and alternatives (as mentioned above) would be recommended.